As of October 17, the recreational use of cannabis became legal (with restrictions) in Canada. Billions of dollars are at stake, in Canada and elsewhere, depending on the outcome of this radical social experiment. 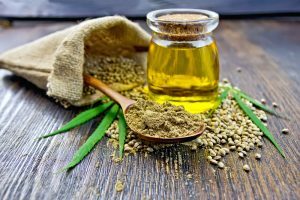 Last week my colleague, Linda McDonough, noted that three of the most popular “pot stocks” — Tilray (NSDQ: TLRY), Cronos Group (NSDQ: CRON), and Canopy Growth (NYSE: CGC) — had exploded in value in the months leading up to October 17. However, each of those stocks cooled off considerably by the end of that week. Tilray, which peaked above $167 on October 15, traded below $116 on October 22 while Cronos and Canopy each gave up more than a quarter of their respective values. Perhaps investors are nervous that the recent stock market correction may turn into an all-out rout, or that whoever replaces Jeff Sessions as the next U.S. Attorney General will take a more aggressive stance against legalization of cannabis at the state level. Regardless of the reason, it has become apparent that the stock market isn’t quite sure what to make of “pot stocks” just yet. I had my first brush with cannabinoid use a few months ago while attending a pickleball tournament in Asheville, North Carolina. My arthritic right shoulder was barking at me, so a friend suggested I try hemp oil to quell the pain. Until then, I hadn’t considered how the legalization of any form of cannabis might be of direct benefit to me. However, the usual dose of ibuprofen wasn’t doing much good. I decided to give hemp oil a try. No, products derived from hemp cannot get you high no matter how much you consume. Yes, the consumption of products derived from hemp is legal in most states and won’t get you thrown in jail (as long as you pay for them and don’t steal them). With those concerns out of the way, I plunked down $50 for a small bottle of hemp oil and excused myself so I could squirt a dose down my throat and get the healing started. I still have a lot to learn about the hemp oil industry, but one thing I can tell you is that there is a lot of room for improvement in its flavor. To me, it tasted like a combination of the leftover oil found in an empty tin of smoked oysters and free leaf mulch from the county dump (in case you’re wondering, that’s not a compliment). I used it as directed for the next two weeks without any discernible improvement in my level of pain. To be fair, my doctor later told me that the type of arthritis I have can only be remedied by joint replacement surgery so I can’t fault the product for that. I had already forgotten about my brief dalliance with cannabidiol until I was on vacation last week in Charleston, South Carolina. I was startled when I happened across a retail dispensary of hemp oil products while taking a stroll through the historic area of the city. I wasn’t surprised that it was located within close proximity of the local university, but I was surprised by the diverse clientele I saw milling about the store. In addition to the usual assortment of hipster millennials, I saw middle-aged businessmen and silver-haired grannies walking the aisles. That’s when it occurred to me: cannabis and hemp may be one of the few products that offer something for everyone. If it appeals to a broad spectrum of customers in a socially conservative state like South Carolina, there is almost nowhere in the United States that it cannot succeed. In that sense, the proliferation of “canna-business” is akin to the multi-generational appeal of the Internet. My son may use the web to play video games with his friends while I use it to hunt down cheap airfares for my next trip. We have entirely different perceptions of how it adds value to our lives, but we value it just the same. As the Director of Research for Investing Daily, I am often asked to recommend specific “pot stocks” to our readers. That’s a tricky question to answer since the industry is so young and nobody knows how it will shake out. Twenty years ago, many Internet stocks went bust even though the sector as a whole was in the early stages of a massive growth curve. Some of the surviving companies went on to become enormously valuable, but at the time they all seemed very similar. That’s my concern now with “pot stocks” and the medical cannabis industry. They all look very much alike to me, and I don’t know what factor(s) will ultimately separate the winners from the losers. I’ve just completed a presentation that gives you the full story on how this company became the only one of its kind operating in the marijuana industry. Its relationship with Uncle Sam gives individual investors the opportunity to collect up to $55,563 in marijuana profits over the next year. Want to join this “green rush?” Click here to learn more.